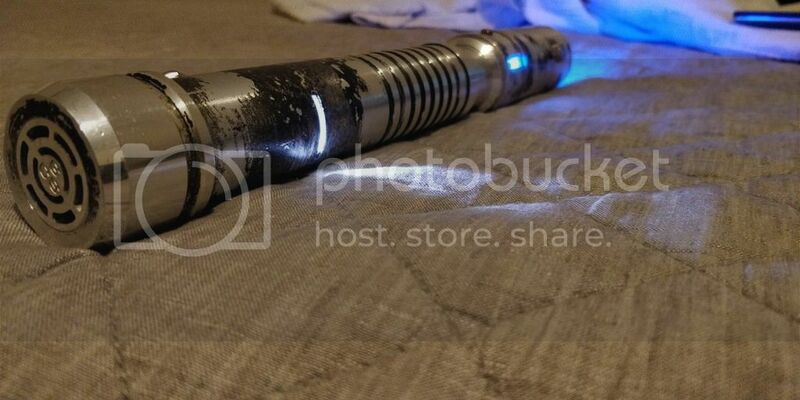 FS is the weathered version of a saber from Madcow Ascend CF6 Ascend colormixing run! In perfect working condition, except for a very small ding on the speaker that isn't noticeable unless you look closely. 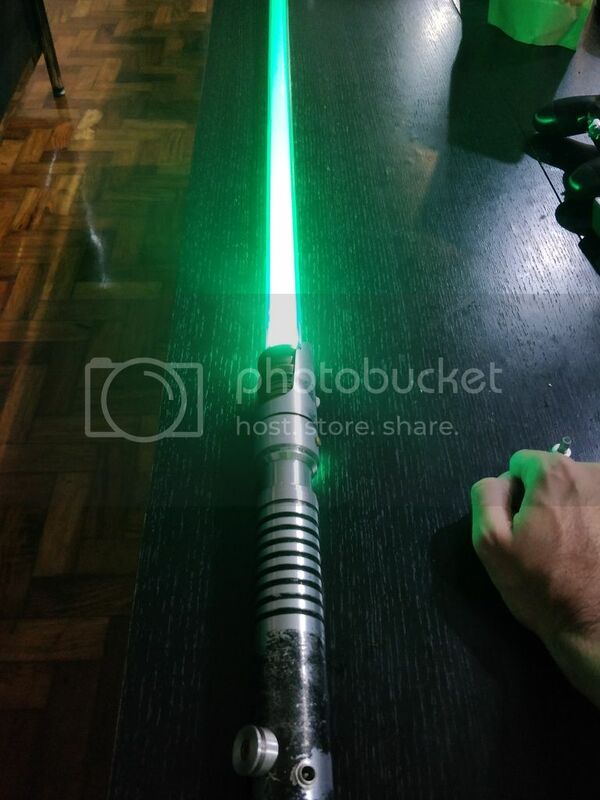 This happened by dropping onto another saber by accident. PRICE IS $800 with shipping (tracked). Note it is a 7.4V battery for charging. This is only for the hilt. PM me with any questions too. Will include a CrystalFocus V7 (CF7) with this as well for free. 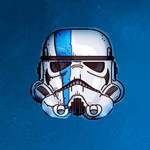 Note this is a heavy dueling saber. it has 6 soundfonts, customized by me, including Menu background etc. Still available! I will include a free CrystalFocus7 with this sale if purchased this week! If I had a grand I’d be on it, his work is awesome. 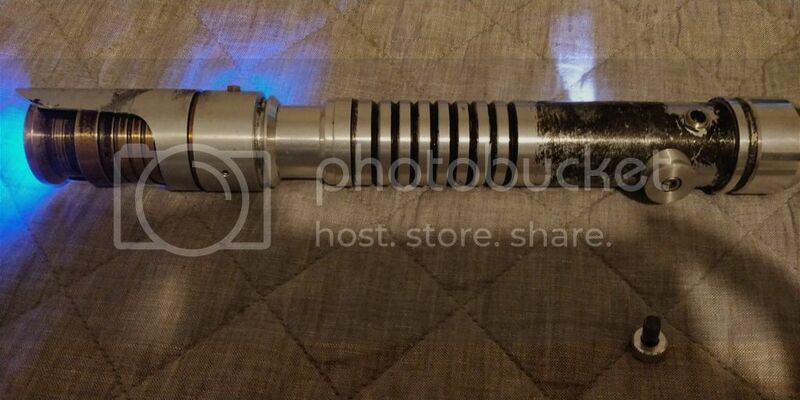 Was curious...could the weathering be stripped back on this hilt to give it a more "clean" look ? Is the weathering just paint...or has the metal been "treated" ? Responded to your PM Ozi-Wan. Best will be to contact Madcow directly, as I am not a sabersmith. The weathering is super top-notch on this specific one from the run though. Still available! Free Crystal Focus V7 (CF7) Included with sale still! 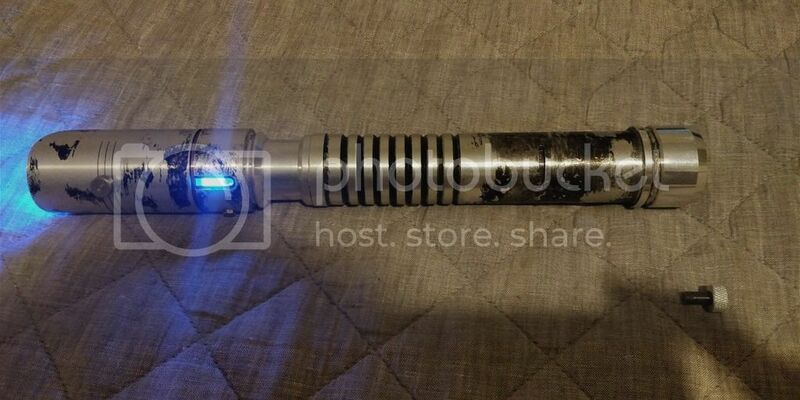 This is a great deal on an awesome saber.!! Thank you. 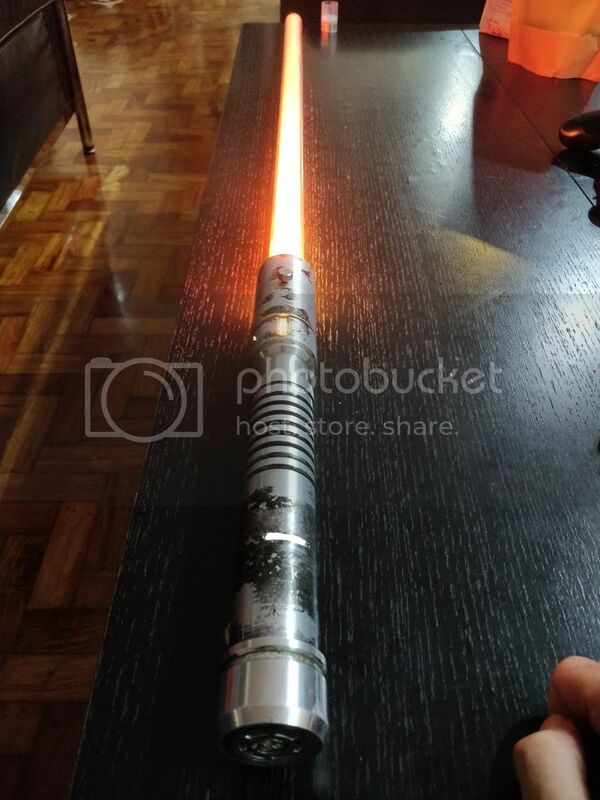 It is an awesome saber. Will be sad when it goes. Hope it finds a great new home/owner soonest. New PHOTOS added! 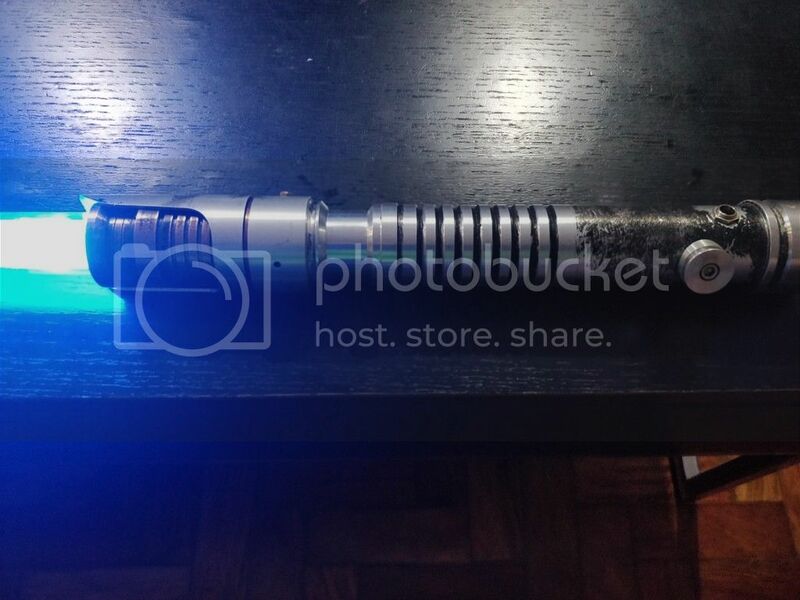 GCS saber! Let's go! How Is this possible this is still here. I wish I were in the position to get it. I figured this would have been gone long ago. I would've thought so too! Thanks for your sweet comments. If it's still here when you are ready, it has your name on it. I also will accept payment plans if that suits you better. Definitely take your offer into consideration. 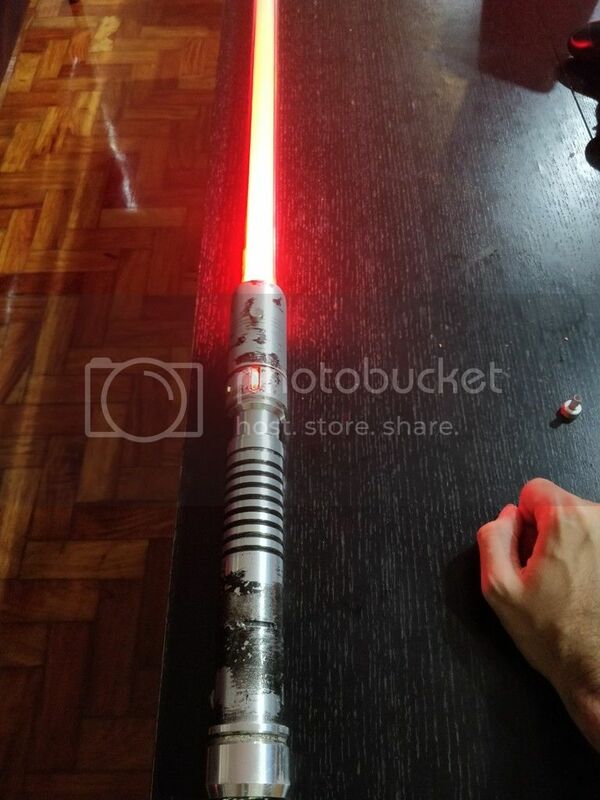 It’s a really nice saber for sure. BUMP! Still available and PRICE DROP. And I’ve had my eye on it awhile too. Get it. This is a rare one. Not too many of these around from the original run. I have the unweathered version. It’s worth it. One of madcow’s sabers. I’m definitely thinking on it indeed.! 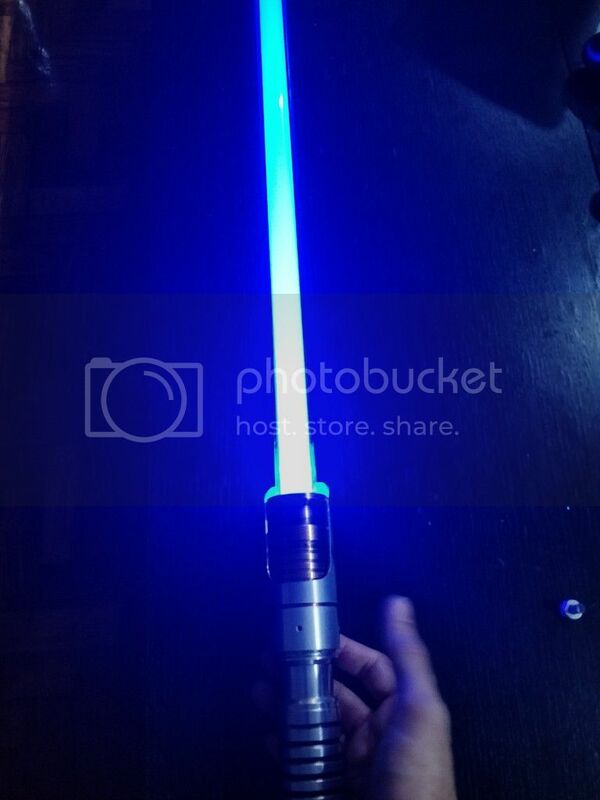 I love clean new looking sabers. Call me crazy but I do. !